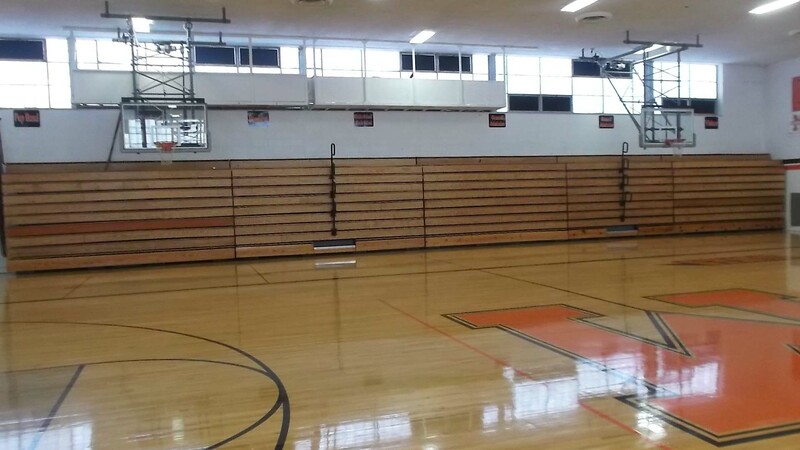 In May 2018, Farnham Equipment Company’s Maintenance Solutions Team performed an indoor Telescopic Bleacher Inspection on Marlington High School’s 57-year-old wooden bleachers and found more than 30 violations, including several improper upgrades. 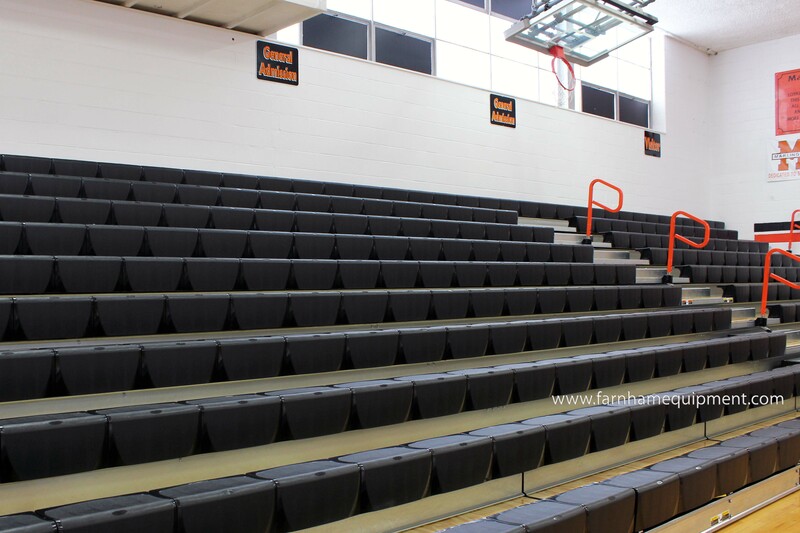 Less than one month later, the school board voted to replace the bleachers with new Hussey Seating Company Telescopic Bleachers with the intention of having them installed prior to the first home volleyball game. 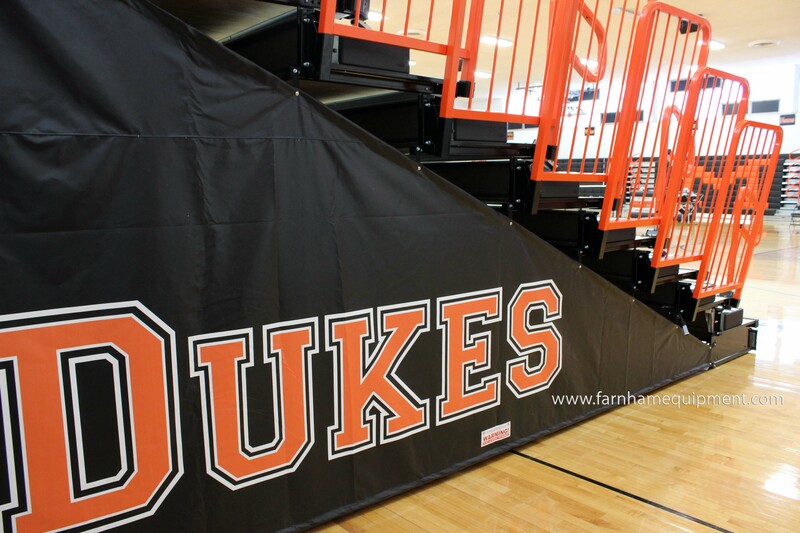 The Dukes’ new telescopic bleachers reawakened the gymnasium’s school spirit with orange guard rails and aisle rails, a signature logo “M,” and a custom Safety End Closure Curtain, a far cry from the 1961 wooden bleachers. 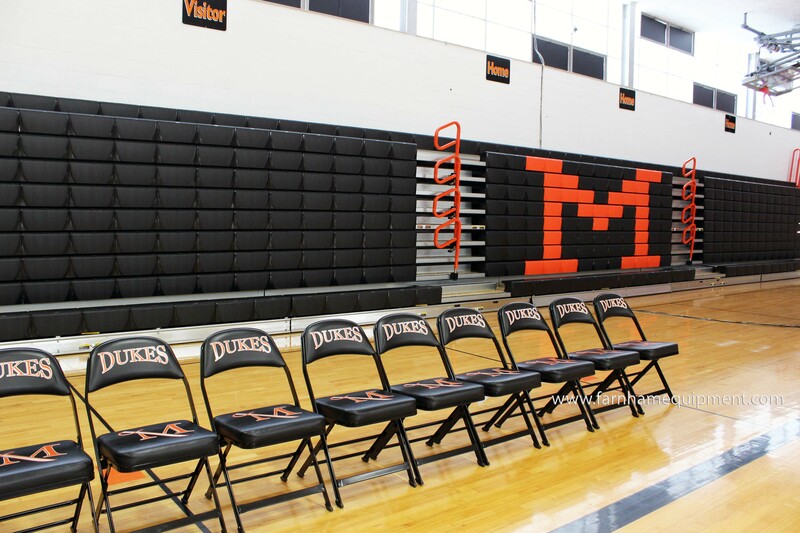 On behalf of the Marlington Local School District, we would like to commend you and your company on a job well done. 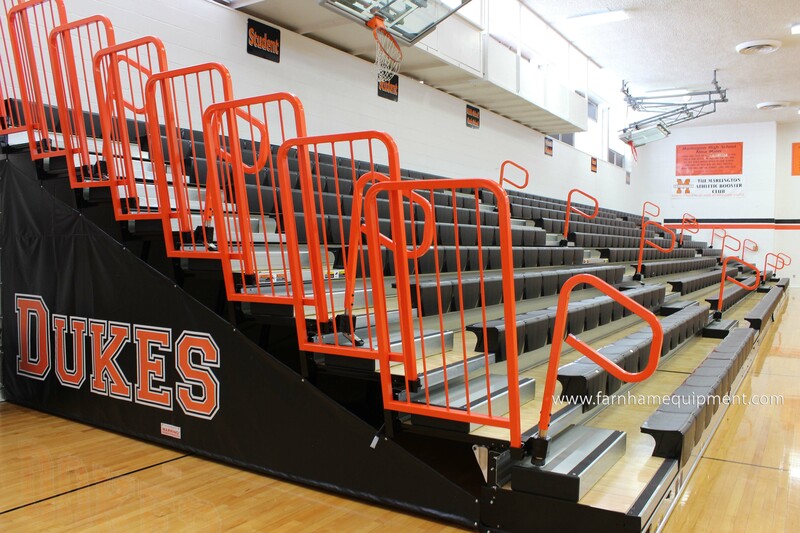 Our new High School bleachers are outstanding and have exceeded our expectations. 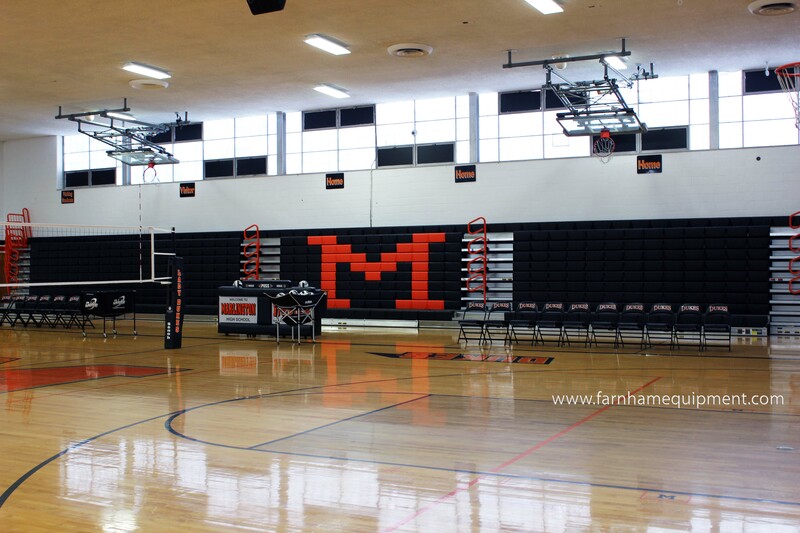 The order was put in later then desired but you and your company pulled it all together to have us up and running by our first volleyball game. Of all the projects, we have done at Marlington, we have to say this was the easiest and best run operation. Further, we would like to pay special thanks to your install crew, led by Joe Robinson. They came in early Monday morning and were out by Thursday afternoon with the job complete. Joe also always took the time to stop and talk as we brought through our donors and board members.